The TIC (Transvaal Indian congress) was first called the TBIA (Transvaal British Indian Association) which was founded in 1903. The organization was later named the TIC when India was no longer under British control. From the 1920s the organization functioned under the umbrella organization, the South African Indian Congress (SAIC). However, in the 1930s -1940s the TIC experienced more radical leadership when Dr. Yusuf Dadoo emerged on the scene (see SAIC section). 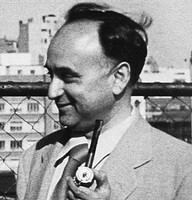 Dr. Dadoo was elected to the parties’ leadership in 1946. By the mid-60s the activities of the TIC had declined and by the early 1970s it was virtually non-existent. The organization was revived in 1983 and was prominent in the establishment of the United Democratic Front (UDF). The TBIA (Transvaal British Indian Association) was formed in approximately 1903 by Mahatma Gandhi to protest against the anti-Indian legislation in the area. The organization depended on petitions and deputations to the authorities and appeals for help to the Government of India, which was then under British control, hence the name of the organization. The TBIA was involved in the Gandhi passive resistance campaigns of 1908 and 1913. The organization was later named the TIC when India was no longer under British control and in the 1920s it functioned under the umbrella organization, the SAIC (South African Indian Congress) which it helped form along with the NIC and CBIC. 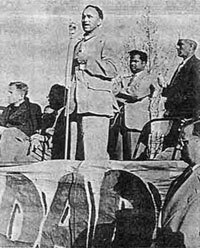 In the 1930s the organization started coming under the influence of more radical leaders like Yusuf Dadoo, who believed that the South African Indian Congress could only advance in their struggle if they cooperated with national organisations representing African and Coloured people. 1938 marked the establishment of the Murray Commission. The Transvaal Indian Congress (TIC) agreed to participate in its deliberations, but Dr. Dadoo and others objected. He was also active in the formation of Non European United Front (NEUF) and during this year he attended the South African Communist Party (SACP) conference, where he met with, among others, Moses Kotana. Soon thereafter, in the first half of 1939, Dr. Dadoo joined the SACP. In protest to Stuttaford’s planned servitude scheme, and under pressure from progressives within the TIC, a mass meeting was called where Dadoo called for a programme of passive resistance to those proposals. He was not alone in his efforts and had the support of contemporaries like T.N. Naidoo, P.S. Joshi and Molvi A.I. Cachalia. Together, with Dadoo as their leader, the group planned to change the ideological and political positions of the various Indian Congresses. In March 1939 they formed the nationalist bloc of the Transvaal Indian Congress (TIC) in an effort to change its policies from within. During this period Dr. Dadoo traveled through the whole Transvaal and became well-known as a powerful orator. As a result he gained a lot of personal support and the Indian nationalist bloc began to attract up to 6000 people to meetings. In 1946 Dr. Yusuf Dadoo was elected to the leadership of the TIC and led the organization in the 1946 Indian Passive Resistance Campaign organized with the NIC. The TIC was never officially banned but was severely affected by the harsh repression of the period. By the mid-60s the activities of the TIC had declined and by the early 1970s it was virtually non-existent. At this time, some activists in the Indian community were involved in Black Consciousness organizations and others associated themselves with the non-racial policy of the 1950s Congress Alliance. The Transvaal Indian Congress was revived in the early 1980s. In 1981, a meeting was held in Lenasia to discuss the response of the Indian community to the forthcoming elections for the South African Indian Council (SAIC). The South African Indian Council was an attempt by government to ‘include’ Indians in the government by creating an advisory, nominated body to deal with Indian affairs in three provinces, these representatives were given extremely limited powers and the same ‘courtesy’ was not extended to Black South Africans. Therefore it was decided that the Transvaal Anti-SAIC Committee (TASC) be established to oppose the SAIC election. The Committee actively campaigned, with the NIC, for a boycott of the SAIC elections in a style reminiscent of the Congress Alliance. The culmination of this process was a resounding boycott of the SAIC elections and the holding of the TASC Conference in January 1983. It was here that it was decided that a United Democratic Front (UDF) be formed and the TIC be revived. When the UDF formed, the TIC became one of its affiliates. The TIC consciously promoted the idea of non-racialism, and sought to mobilise the Transvaal Indian community under the dual banner of the TIC and the UDF. This was done by house visits, mass meetings, pamphleteering and extensive campaigns to boycott the Tricameral Parliament, municipal elections and education. They also participated in national UDF campaigns and began organising the business sector through the TIC Business and Economy Group. After the ANC was unbanned in 1990, the NIC and the TIC, had various meetings with the ANC over the role of the two Indian Congresses. Both organizations were subsequently disbanded and many of their leaders became active in the newly-formed ANC branches and its provincial and national structures.